Tasting - What age can do for wine? Entry fee: This is a no fee event, but it is BYO wine. We ask members and guests to contribute by providing a salad (odd number houses) or dessert (even number houses) sufficient for about 10 people. Anne is showing off and has sent this photo of the contents of her fridge. 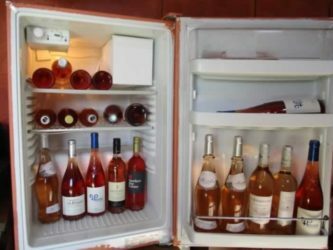 To round off the presentation, we will have the chance to compare these French Rosés with a couple of New Zealand offerings. With summer “still” just around the corner, what a great opportunity to try some wines which make for really great drinking in the warmer weather. With just nine wines in their range, along with occasional releases of limited-volume offerings for mail order customers, they feel it's possible to stay 'hands-on' and to give both vines and wines the attention they deserve. In all their wines they aim for fine balance, with structures and textures that deliver far more satisfying, almost more savoury, mouth-filling experiences than wines that rely mainly on youth and 'pretty' aromatics. Ata Rangi produces two Pinots, the renowned Ata Rangi Pinot Noir and an earlier-drinking style called 'Crimson', named for the charitable conservation trust Project Crimson which sales help to support. Not in this tasting Célèbre is their very own 'Rhone-meets-Bordeaux', an enduringly popular Merlot/Syrah/Cabernet blend first produced in a lean-to shed in 1986! Two Chardonnays are included in the line-up; the silky, seamless, elegant Craighall from 28 year-old Mendoza clone vines, and the more vibrant, juicy, 'fully self-expressed' Petrie Chardonnay from a stony block 30 km north. This site has a slightly cooler run, reflected in the wine's fine minerality. On the aromatic side, a deliciously complex Sauvignon Blanc delivers riper flavours and more textural interest than the average Kiwi Sauvignon. The Lismore Pinot Gris is picked late in the season and crafted in a typically Alsatian style. The delightful Summer Rosé exudes fresh berry and watermelon crunch while, for those that prefer it, the pièce de résistance is our luscious botrytised Riesling named 'Kahu', Maori for the harrier hawk that roosts in the neighbouring vineyard of the same name. I doubt that this will be the right answer to any of the questions but you are open to try? Something for everyone! 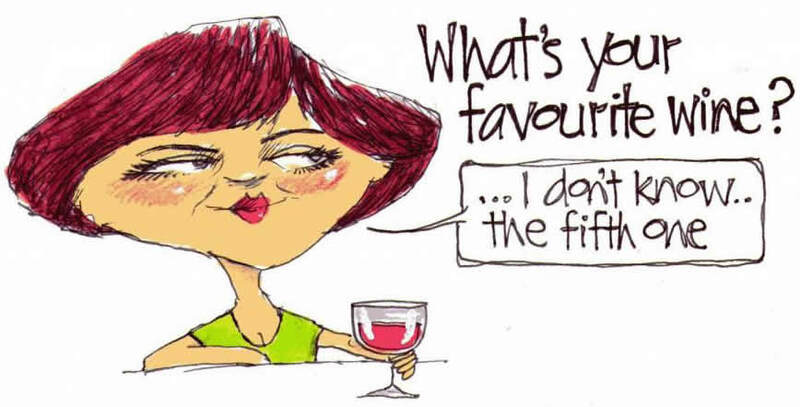 Some interesting wines to taste, questions ranging from the obscure to the obvious (especially once you hear the answers) and plenty of frivolity along the way. There’ll also be a range of ways to score points – wine knowledge, general knowledge and sheer luck! It’ll be a friendly team competition – you can arrange your own or join other members to make up teams on the night. Your committee will ensure everyone who comes along is in a team. We suggest about six people per team, though it’ll depend on numbers on the night. We welcome your clever team names and will also have some names on hand in case inspiration deserts you. As always, guests are welcome so bring your friends along for a fun evening. Please bring your tasting glasses. All monies received shall be banked in the name of the Club in a suitable bank account with a registered bank in New Zealand. To invest, lend and deal with the moneys of the Club not immediately required upon Securities with at least an AA credit ranking as the Club may think fit. The Signatories of the Club's Bank Accounts shall be the Honorary Treasurer and a minimum of two other members of the Committee. Electronic Payments to be authorised and Cheques to be signed by any two of the Signatories. The change to rule 2[b] is simply to add clarity and provide security by stipulating that the bank account must be “with a registered bank in New Zealand”. The other two changes are required because the current rules of the club make reference to the appointment of Trustees and with investing in Trustee Securities. This terminology implies the existence of a Trust Deed outlining the duties, office and powers of the trustees, as well as a set of processes around their appointment, retirement and removal. In fact, there is no Trust Deed for the club and the use of “Trustee” in our rules harks back to language and use which differs to that in vogue today. The above resolutions are intended to remove any confusion or misunderstanding that the previous terminology might cause. Keep the new date in your calendar. Wednesday the 19th July sees the club is returning to Bistro 52 on lower Cuba Street for its mid winter dinner, the menu for which was circulated earlier this month. Start time is slightly earlier at 6pm for a meal start of 6:30pm. You will be greeted at the door with a glass of French bubbles. Sadly not Champagne [sorry Odette and others] but I’m sure it will still provide a great start to a really enjoyable evening. Seating is such that the tables will only accommodate a maximum of 8 people. This will mean some of our larger groupings may need to split. This hasn’t been a problem in the past so hopefully that proves to be the case this time around as well. Please don’t try to join the tables together as this may impact the training that’s going on in the background. Given all this, we have made the decision not to have a formal seating plan. As I’ve just said, this is a training restaurant so something may well go wrong. If it happens, just let the restaurant manager know and allow him to set about getting your problem remedied. And a request. Please make sure you hand your wine to the waiting staff so that they can practice opening and pouring wine etc. This promises to be a great evening with 37 people attending. As always, it will be interesting to see what wines members bring to match their likely food choices. Note for the newer members who may be attending for the first time - our dinners are BYO and its customary to share your wine with others at your table. One last reminder to everyone, if you do wish to finish the evening with tea or coffee, that is not part of the cost so you’ll need to arrange and pay for that yourselves. Imagine sitting by the fire, enjoying world class wines matched with our seasonal trust the chef bistro menu, each wine's history and the story being told by the winemaker him or herself. Winding down your evening in a natural outdoor hot tub surrounded by snow-capped mountains overlooking pinot noir vines in Gibbston, Queenstown finally returning to your own cottage in the vines. Kinross Cottages along with our wine partners is offering five winemakers weekends over the coming months. Two unique interactive wine tasting sessions (45mins): Le Nez du Vin & The Perfect Pinot. $890 per couple, for the weekend. If you have any questions please feel free to call or email the team or call 0800 131 101. On Tuesday 1st August, our Bistro52 Food and Beverage Service Students will be running a Barista Fundraiser to raise money for the Skylight Trust. $2 Espresso Coffees and Hot Chocolates will be available from 10.00am-2.00pm with $1 of each drink going directly to Skylight! So come and see us at the Latte Lab, Level 1, Weltec School of Hospitality, 52 Cuba Street, Wellington - Directions. Hermann and wife Agnes started the winery in Nelson in 1973 and it is now run by their 3 children. One of those siblings, Anna Seifried, will be presenting our tasting which will consist of 7 wines, culminating with the award winning Sweet Agnes Riesling. Not everyone will get to taste the same wine as many of the bottles are singletons so as one side of the room tastes one, the other side of the room will taste another. And the highlight is sure to be the last one. A Bordeaux style red [we think] from one of the pioneers of the Gimblett Gravels, C J Pask. This wine is somewhere between 20 and 30 years old and its presentation in a large bottle dating back to 1893 offers its own intrigue. 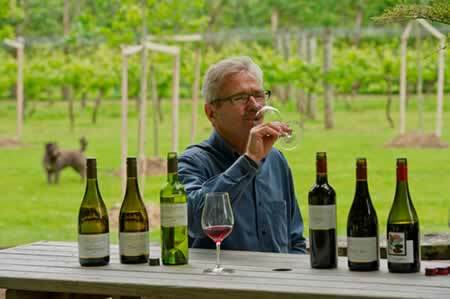 Adding to the fun, we have recruited noted wine writer John Saker to join us and to provide us with his expertise as both a wine writer and wine judge as we try to assess just how age has affected each of the wines. This night is very much a learning occasion that offers a lot of fun and enjoyment as we try to find the best-aged wine. But the limited number of bottles does mean that we will need to limit numbers to no more than 36 and so if you want to attend, please email me ASAP. Your attendance will be confirmed back and please, members only. In keeping with the theme of the evening, the door raffle will be $2 a ticket and is for a bottle of 2002 Penfolds Bin 389 Cabernet Shiraz from the club’s cellar. I’m told that on the internet, this wine is being offered for sale around $189 a bottle, so whoever wins this wine is going to be very pleased with him/herself. So don’t delay, email your attendance to Robin ASAP. HINT: Just go Reply to this email and say YES I want to attend. Stonecroft is a small, family-owned winery making organic Gimblett Gravels wines in Hawke’s Bay, New Zealand. 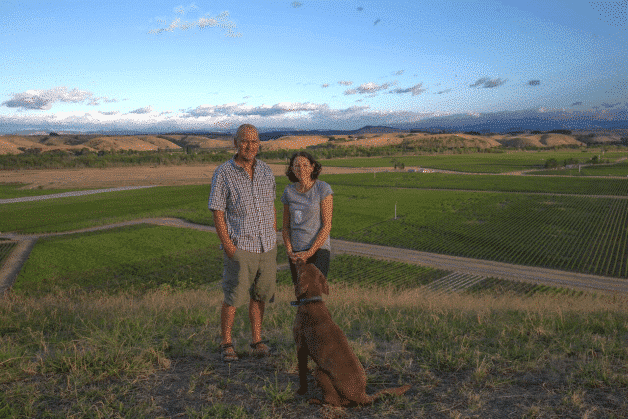 The owners are Dermot McCollum and Andria Monin, who live on the Roy’s Hill vineyard with their two children Emer and Oscar, plus Jasper the cat and Stanley the chocolate lab. As we speak Keith and Brett are scrabbling around in the Eurovintage cellars looking for some classic Spanish wines so we can enjoy a top class festive tasting this month. We had great success with an Italian evening last year and we are confident that a suite of Spanish wines will go down every bit as well. After all, the peoples of Spain celebrate Christmas with some fervor and know how to mix celebration and fine wine. I can’t tell you what the wines will be as they haven’t emerged from the cellar, but they will be good. 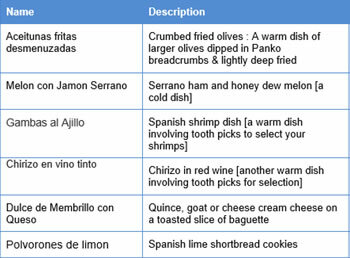 They will be accompanied by some tasty tapas as listed below, and as would be the case in Spain, so come along and enjoy the evening. You have to head to the suburbs to try one of Wellingtons best new restaurant/ wine bars. Set in an 85-year-old brick building, Cashmere Lounge has done a wonderful job of capturing the character and enhancing the aesthetics of the original structure.